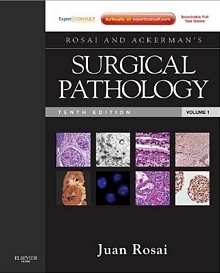 Released last year, the new edition of Rosai and Ackerman’s Surgical Pathology delivers the authoritative guidance you need to overcome virtually any challenge in surgical pathology. Recognized globally for his unmatched expertise, preeminent specialist Juan Rosai, MD brings you state-of-the-art coverage of the latest advancements in immunohistochemistry, genetics, molecular biology, prognostic/predictive markers, and much more – equipping you to effectively and efficiently diagnose the complete range of neoplastic and non-neoplastic entities. 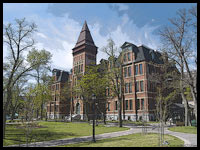 And now, with online access at www.expertconsult.com, you can easily search the contents of this 2-volume masterwork online and download more than 3,300 detailed images. * Efficiently review the clinical presentation, gross and microscopic features, ultrastructural and immunohistochemical findings, differential diagnosis, therapy, and prognosis for virtually every pathologic entity. * Compare your findings to more than 3,300 outstanding illustrations that capture the characteristic presentation of every type of lesion. * Avoid diagnostic pitfalls using Dr. Rosai’s expert observations on what to look for, what to be careful about, and which presentations can be misleading. * Find quick answers on tumor staging, quality control procedures, and the handling of gross specimens through valuable appendices. The new edition of Rosai and Ackerman’s Surgical Pathology is the definitive go to authoritative book for all aspects of surgical pathology, and can be obtained in store or ordered for delivery to your door through our virtual bookstore.